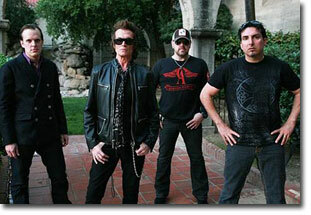 Black Country Communion (the name paying homage to Jason and Glenn's West Midlands upbringing) played a couple of UK shows in late December 2010 to promote their debut album ‘Black Country’ which topped the UK rock album charts. Something of a supergroup, the band was put together by Glenn and blues / rock guitarist Joe Bonamassa, with ex-Dream Theater keyboard player Derek Sherinian, and drummer Jason Bonham -son of Led Zeppelin's John Bonham. The band's music was largely 1970s style rock, with new albums arriving at a 1970s frequency. Their 2011 follow-up ‘2’ saw some more sustained touring, with both US and European tours taking place over the summer, and Glenn fitting in solo dates on either side of these, the latter to promote his autobiography. The third BCC album ‘Afterglow’ was recorded quickly but Bonamassa's hectic solo career made it difficult for him to commit fully to the project. After a January 2013 UK promotional show was announced but quickly cancelled (with Joe and Glenn disagreeing in public about the reasons) the band’s future looked uncertain. Glenn promised to return in 2013 with ‘other musicians’ in a ‘more mainstream rock’ setting.. The ltd edition bonus DVDs which came with the 'Black Country' and 'Afterglow' CDs were scrapbook compilations of internet trailers/teasers (including quotes from the band members and producer, a bit of studio jamming, the odd interview - there's a music video on the first one etc). Interesting but not esssential.